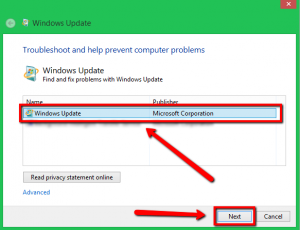 Running windows update is essential to your computer since it helps your system run smoothly and effectively, and also to ensure that you are getting the latest security updates to protect your computer from harmful threats. However, there might be some of us encountered issues when running the update, if you are one of them. I will show you how to fix this specific issue and get the job done. First of all, we’ll tackle and check your disk storage space because this might the reason why you are unable to run the update. You need to have enough space on your disk to save the necessary files for the update. This is probably the reason why you can’t complete the update process, please follow the steps given below. Please navigate on your Cortana’s search box and type “Disk Cleanup” without any quotation mark, please select the application. Select the appropriate system drive, commonly, the path should be drive letter C:, please wait for the disk cleanup process to be completed, you will then be able to see the amount of space you can free up. Please make sure not to select the important files, once selected, it will be deleted on your system. If the solution above does not work, you may need to use Microsoft’s fix tool, please visit the link provided below. 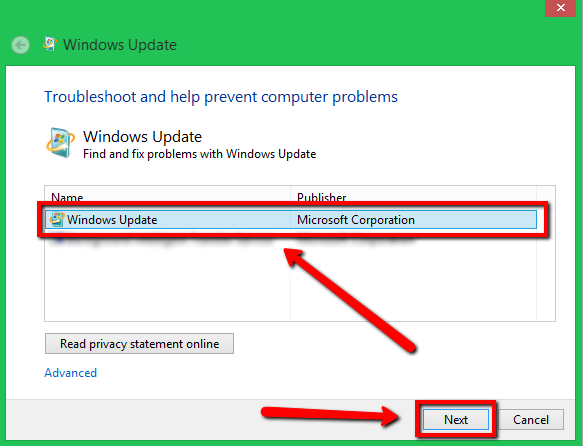 Once you visit the link provided above, you will be able to download the fix tool from Microsoft. 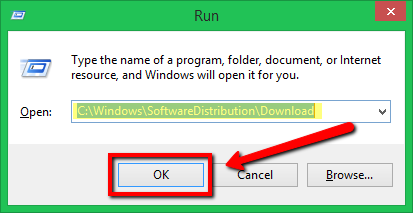 Please run the downloaded fix tool, install the program by following the on-screen instructions. You will be able to see a screen where you will be asked to select a specific option to continue the fix, please select Windows update and hit next. Please wait until the process is done and the issue should be fixed. Please hold Windows key then hit R (Windows key+R) to open run application. Copy and paste the path given below and hit enter. 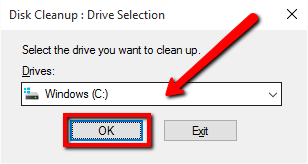 After deleting all the files, please do restart your computer and run Windows update again. A malware program can change or alter important files on your computer system as a result you will be unable to completely run the Windows Update. Therefore, you need to eliminate malware programs, you must run your security or antivirus program. If you don’t have a security program or your security program can’t seem to detect any issues, I highly suggest using our SecurityReviver program. SecurityReviver is designed to scan and locate malware programs on your computer and eliminate the threats. Furthermore, SecurityReviver has useful features, including Browser Cleaner and Start-up Manager, these features helps your computer run smoothly. SecurityReviviver is an easy to use utility, hence, it will save you time and most of all, your computer from getting infected by these lurking viruses. I hope this helps you with the issue you are having!